How Can I Preserve Peaches Without Canning Them? 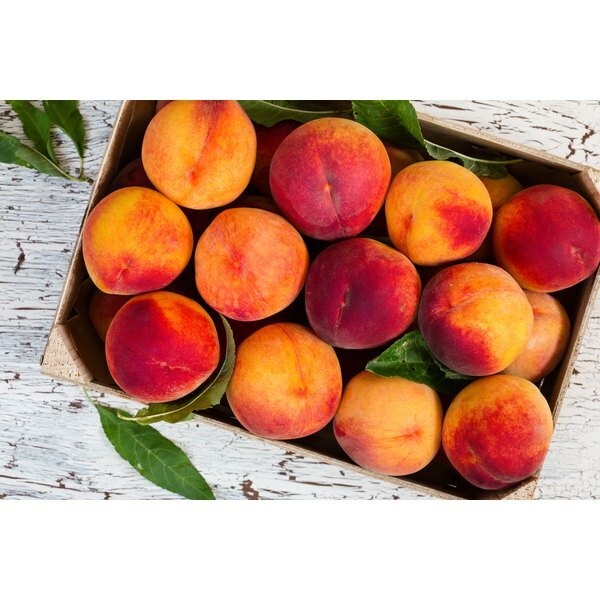 1 How Can I Preserve Peaches Without Canning Them? 3 What Is a Good Substitute for Cherries? Fresh, ripe, juicy peaches are a thing of beauty; their canned, syrup-soaked cousins, not so much. So, while canned peaches are convenient when it comes to baking peach cobblers and pies, topping yogurt parfaits, bowls of oatmeal and so much more, using fresh fruit is a superior (and healthier) choice in every way. The only minor drawback is that fresh peaches usually need to be peeled before you cook with them, and many people prefer skinless slices for cold peach treats, too. Don't even think about pulling out a vegetable peeler when you need to de-fuzz a fresh peach; instead, blanch your peaches, and their skins should slip easily off in a matter of minutes. 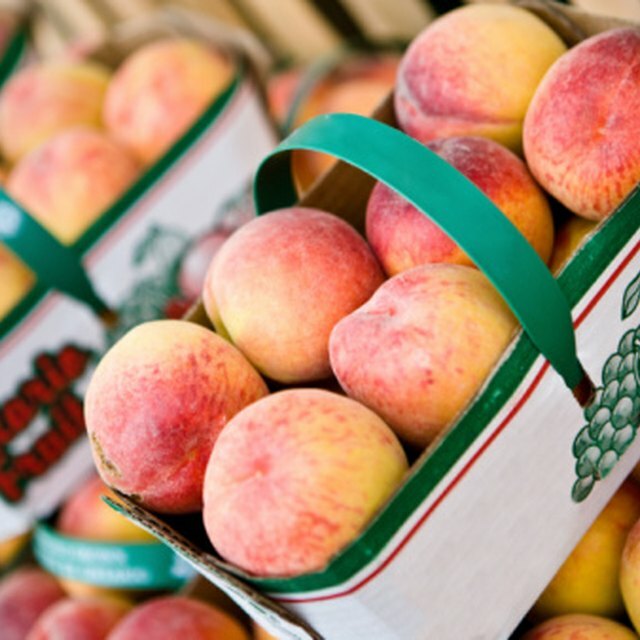 In preparation for blanching fresh peaches, fill a saucepan with enough water to cover them. If you're working with more peaches than easily fit inside the pan, just work in batches. Bring the water to a rolling boil. Meanwhile, use a sharp knife to slice an X into the base of each peach. Also prepare an ice bath – a bowl of cold water plus a handful of ice cubes. Have tongs or a slotted spoon at the ready. When the water is boiling and your peaches are ready, turn off the heat and carefully place the peaches in the hot water using the tongs or spoon. After approximately 30 seconds to 1 minute (a little longer if you started with firmer peaches), you should be able to see the skins rolling up slightly around the sliced X. Remove the peaches from the hot water and transfer them immediately to the bowl of ice water. Let them sit in the ice water for a minute or two. Remove the first peach from the ice bath. It should be cool enough to handle. Sit the peach on a paper towel and gently slip the skin off with your fingers. Alternatively, hold the peach under cold running water as you slip off the skins. If the skins are still clinging tightly to the flesh and difficult to remove, just repeat the blanching-and-ice-bath process. Expect the naked peaches to be very slippery. You can remove the stone by slicing the peach through the middle, twisting the two halves apart and prying out the stone (as you would with an avocado), or by cutting slices from around the center until you're able to slide or cut the flesh off the stone. Use your fresh, peeled and sliced peaches immediately, refrigerate them for no longer than a day or two, or pack them into a freezer-proof container, cover with water and freeze them for later use. What Temperature Should You Serve Merlot Wine At?